The United Kingdom’s biggest retailer Tesco has signed a memorandum of understanding with China Resources Enterprise (CRE) to merge retail operations in the Asian country. The joint venture would combine Tesco’s 131 stores in China with CRE’s current outlets. CRE would hold a majority stake of 80 per cent in the new venture. 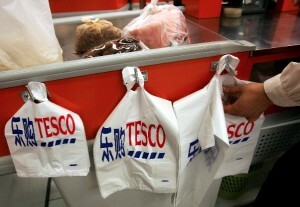 “It would involve CRE combining its CR Vanguard business, which currently operates 2,986 stores across China and Hong Kong, with Tesco China’s 131 stores and shopping mall business,” said a statement by Tesco posted on its website. Tesco has seen declining sales in China forcing it to close down several stores and has already exited retail markets in the United States and Japan. The proposed deal “is consistent with Tesco’s stated strategy of focusing on profitable routes to growth in fast-growing but less mature markets, with a disciplined approach to the allocation of capital,” said the statement. Tesco expect the deal to create business sales of some £10 billion. CRE currently has a 10.9 per cent market share while Tesco claims a 2.4 per cent share in China. CRE is a state-run investment holding company that operates four business segments: Retail, Beer, Food and Beverage.